How's it going? It's been a while, hasn't it? Missed me? Yes? No? Oh well..LOL. Well, the reason why I haven't posted in some time is because I haven't really felt inspired to post anything and I was trying not to put myself under pressure to post anything. Although, I did think about doing a book review of an amazing book I just finished reading, but that would have had to be a video as words would probably not do it justice. So here's a chit-chat post just to share with you what I've been up to and the plans I've got for the upcoming weeks. 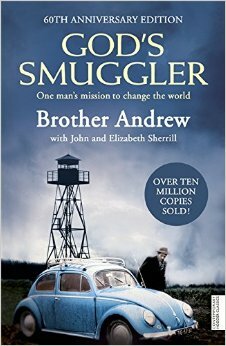 In the past few weeks, I read God's Smuggler a book about Brother Andrew and all I can say is AMAZING. It really shook me to my core. The testimonies were just mind blowing and just showed how real God is. I'm not sure if everyone would feel the same way about the book as it's possible that it was just a 'timely' book for me. I'll definitely recommend this to everyone. Whilst I was reading this, my Pastor and a friend recommended 'Heavenly Man' to me. It's the story of Brother Yun, a Chinese Preacher. I'm currently reading it and again, I have to say that it's such a great book. It's almost unthinkable the amount of persecution this man faced and still continued (and continues) to live for Jesus. Many times, I cringed as I read about the pain that was inflicted on Him and it makes me reflect on my own life. Again, I'll definitely recommend this book. Click here to buy. On June 29, my dad turned 70 (yayyy! ), so on 4th July, he had what I'll call a medium sized party (about 120 guests). It was a great party, but unfortunately I can't share pictures as my make-up and gele (Nigerian head-tie) was hideous. Not just mine though, my sisters and my mum's as well :(. The MUA did quite a bad job. So sorry peeps, but no pictures. The day after my dad's party, I got to attend a Singles' Masquerade Ball at The Waldorf, Hilton. It was a really fun event and I even got to dance Salsa and watch a ballet performance :) Fun times! We (my friends and I) left at midnight and had to travel all the way back to Essex at that time. I probably got home about 1:30am or so. Thank God I had a day off the next day, so I didn't have to worry about work. Now I'm really excited about this testimonies I'm about to share with you. On 18th July, my church organised a mass evangelism and I attended. Before we went out, we were told to write down whatever comes to mind. It could be names, location, needs, descriptions, just whatever comes to mind. We were given about 10 minutes to do this. The aim of that exercise is to use Word of knowledge to reach out to people, rather that just randomly speak to people (and there's nothing wrong with this). After the exercise, we were split into small groups. In my group, we were 3 in total, and so we set out. One of the things I had on my list was 'Angel'. My initial thought was that this was a name of a person, but as we walked past the town center and the train station, we walked past a shop called 'Angel Cafe' and I went 'oh look, I have angel on my list' and so we went in. There were only 2 people in the cafe. The first guy that spoke to us seemed to be the manager or maybe the owner. One of the men on my team started speaking to him and he mentioned that he's a Muslim and believes that there is God and stuff like that. Anyway, as he spoke, he mentioned that he had a pain in his leg and I asked to pray for him. Just before I did, I felt I shouldn't touch him, but just stretch forth my hands as I didn't want him thinking I put something on my hands. And so I prayed for him and asked him to check for the pain again. He said he couldn't feel it, but he had just taken some pain killers before we came, so he wasn't too sure. But then he requested that I pray for the chef who had a back pain. Again, I didn't touch him, but just stretched my hands. The chef also said he couldn't feel any pain, but that as I prayed, he felt something in His back. I was so excited as I knew it was the power of God working in Him. The first man that had the leg pain requested that we come back in a week's time to check if the pain was permanently gone and if it's gone, he said he would do whatever we want. I explained all we wanted was for Him to give His life to Jesus. One of the men on my team will be going there this Saturday as he wasn't able to do that last week. I'll update you on the visit. These testimonies got me very excited because it was the first time that I prayed for people and they were healed instantly. There's another testimony of healing from that same day, but I think this post is long enough already. So I'll leave it for now. If you do want to hear it, indicate in the comment section below. Finally, I'm excited to announce that a friend and I will be starting a Youth Fellowship today (Thursday) and it's called 'Faithful Witnesses'. We're really excited about this because we know God is going to do awesome things. It's going to be every Thursday at 7pm. If you're based in Essex and you'll like to join us, please leave a comment below or send me an email (tomilolalawal@gmail.com) and I'll send you further details. God is awesome and he will continue to show His power amongst His people amen. Nice!! Impressed by the testimonies of everything. God is faithful. Keep shining! Lol. But how bad can the pictures really be? At least it was done by a MUA, right? Anyway, I am so excited for the miracles God did through you, and pray you continue to see the manifestation of his greatness. The pictures are bad. My gele just look plain ridiculous. The make-up, gosh. My sisters and I keep laughing about it and talking about how the MUA needs to give us our money back. Lol @ holl up, holl up. Isn't that medium sized? Large would be like 500 guests. Yes, that venue was amazing. Apparently scenes of Titanic were shot there. Really beautiful. And we used 2 halls. 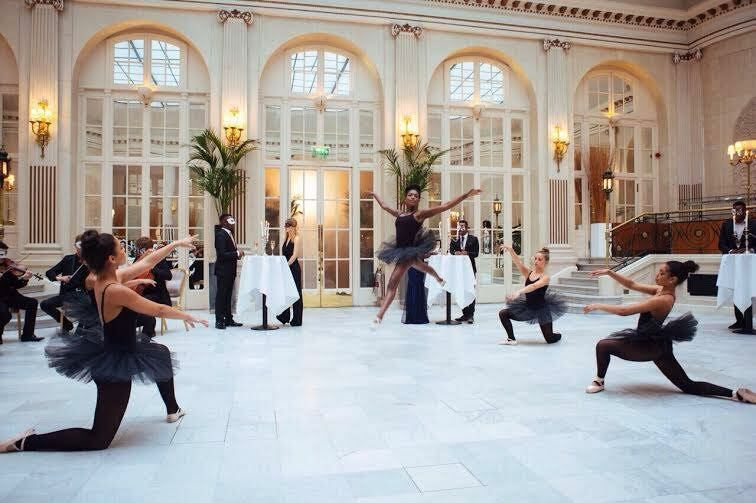 One was the main hall (which isn't in the post) and the other was for the drinks reception and that's where we also watched the ballet performance and had our salsa dance. I just realised that you probably think that was the venue for my dad's birthday? No it wasn't o. That was the venue for the Masquerade Ball..hahaha. Thank you for your prayers Duru. Nice...I think you were the 'angel' sent to those men. Healing just via stretching of d hands, dats definitely God. Nice one. Thank you for reading and thank God for His healing power. wow! this is what fascinates me about God; using our inadequacies to make power available...singles ball eh?! some of us are anticipating another time's square, ikeja event oh! Looool Anjola. It's great that you're anticipating. Is it too early to start anticipating for you too? How are you dear? Off to check out your blog again. antici what? i still have a while oh!